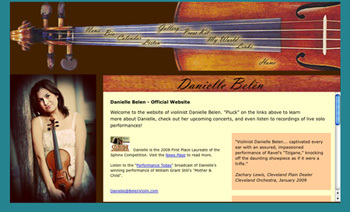 Danielle Belen, former student from my first class at USC in 2001, winner of the Sphinx Competition, also teaches at The Colburn School, Los Angeles, CA and the Luzerne Music Center, NY. 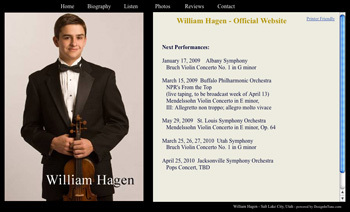 William Hagen, 16, currently studies with Robert Lipsett and me at the Colburn School of Performing Arts in Los Angeles, CA since 2004. He lives in Salt Lake City, UT, and has been flying in to LA for weekly lessons since he was 10 years old. Deer Valley Music Festival, UT 2006. 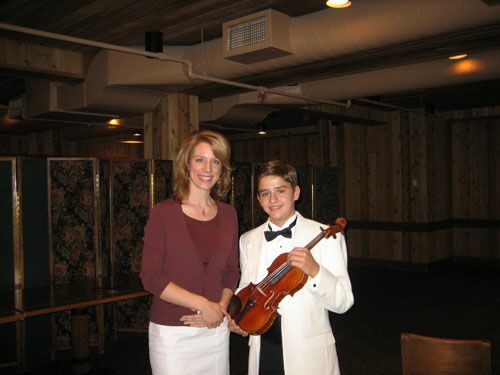 With William Hagen at age 14 before his performance of the Vieuxtemps Concerto No. 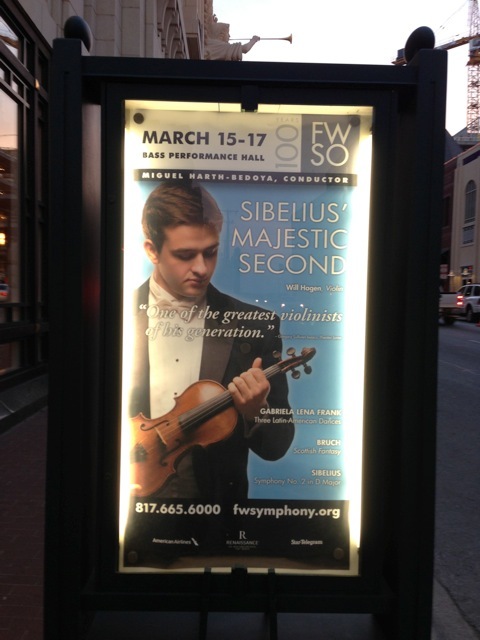 4 with the Utah Symphony, Keith Lockhart conducting. 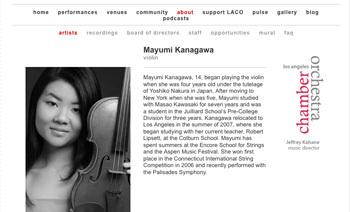 Mayumi Kanagawa, studies with Robert Lipsett and me at the Colburn School of Performing Arts. Marisa Sorajja, from my first class at USC in 2001. 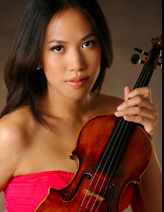 Concertmaster of the Colburn Orchestra, she just performed her graduation recital at the Colburn School, LA, CA. 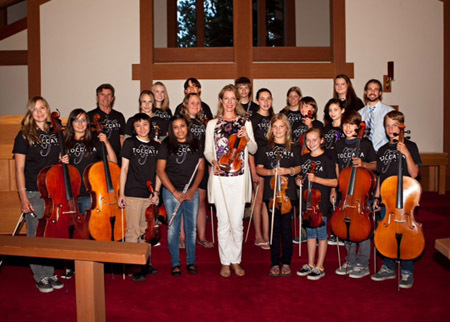 Elizabeth with the Lake Tahoe Youth String Orchestra September 2011.